Find the right tour for you through Omis. We've got 72 tours going to Omis, starting from just 3 days in length, and the longest tour is 20 days. The most popular month to go is July, which has the most number of tour departures. "Good people Good boat Good tour guide"
"This was by far one of the best holidays I have been on. Our tour guide, Ellie, was..."
"We had such an great time with Koda Sail! 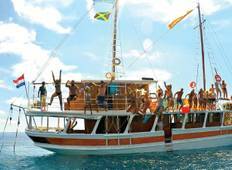 Chris and all the crew were so helpful,..."
"Amazing trip, loved the islands by every bit, definitely a must see! The boat was..."
"Jarret was the best tour guide I've ever had. He made every trip I went on so fun..."
"We cannot recommend this travel Ambassador enough! 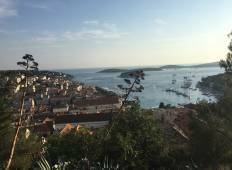 Our trip exceeded our expectations..."
"Unreal sail around Croatia with a awesome crew and even better tour guide Olivia...."
"Traveling with Oh! So Croatia was a blast! very informative with a good mix of having..."
"I LOVE STOKE TRAVEL! Hands down the highlight of my euro trip! I'll admit i was a..."